In 1981, the founders of CLUES (Spanish for: Comunidades Latinas Unidas en Servicio) were looking for a way to connect their community, to connect families in ways that would empower and engage them. They knew that there was a gap in this area for the Latino community, and they strongly believed that there needed to be an organization by Latinos, for Latinos. Today, CLUES connects families to resources, skills, institutions, and systems and create an environment for people to be engaged and empowered. 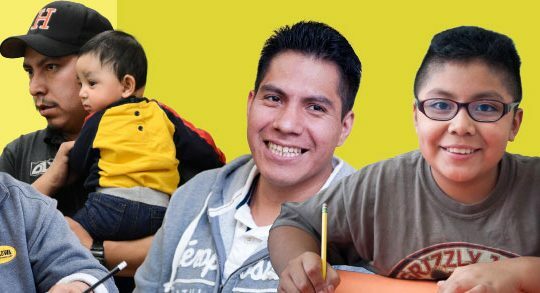 Comunidades Latinas Unidas En Servicio – CLUES has grown beyond their initial dreams, and has expanded to serve individuals and families from all walks of life including new immigrants and low-income families who dream of a better future. They continue to dream big: in hopes of advancing the capacity of Latino families to be healthy, prosperous and engaged in their communities. Snapfish: Free shipping and 7.5% will go to advance Latino families. The Real Real: 20% off and 3.5% will go to help engage and empower families. Toys R Us: 20% off select toys, and 0.5% will go to serve the Latino community. Bebe: 15% off and 2% will be donated back to CLUES. Next PostGuest Voz: "The days of fearless Hispanic leaders are long gone"
Guest Voz: "The days of fearless Hispanic leaders are long gone"